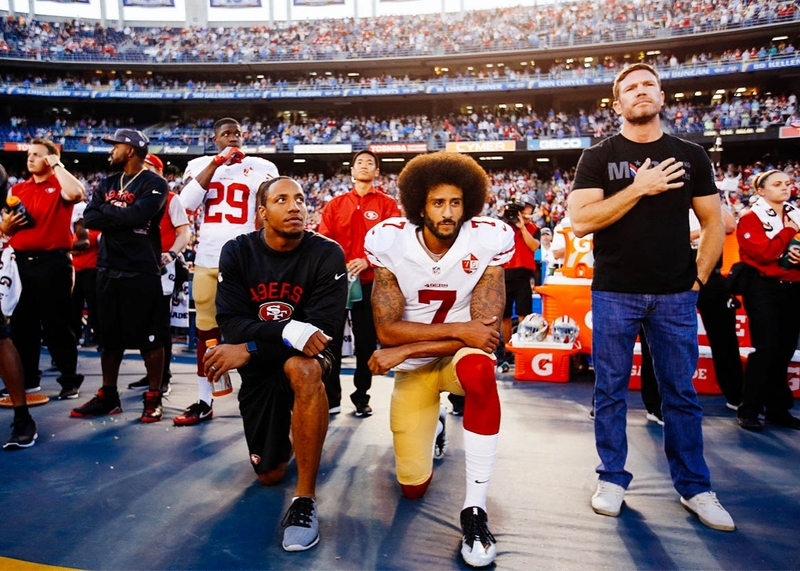 Director and sports fanatic Spike Lee went on Instagram to express his anger that unsigned quarterback Colin Kaepernick has not been signed by any team that needs a decent quarterback. He feels he should be signed by now and by the NY Jets, one of his hometown teams. Lee also bashed the NFL for isolating Kaepernick for his freedom of speech towards the national anthem and racial issues. ESPN mentioned that Jets owner, Woody Johnson, is a prominent GOP supporter for Donald Trump and raised him millions. Jets were interested in Josh McCown but did not sign him and may be interested in Jay Cutler who was released by the Chicago Bears. Kaepernick, who is 29, has been to four playoff games including the Super Bowl. To avoid all the gossip, Kaepernick did promise the NFL that he will stand during the national anthem this upcoming season.